as well as many abroad brand-name apparel company and garments chain stores. its main products are t-shirt, polo shirt, football wear, hoodie, vest, sportswear, babies' and children's garments, etc. Pick colors from our color book, which contains thousands of stock sublimation colors. C. We can custom any size only if you have your size specifications. You can also pick colours from our color book which contains thousands of colors. Product Details: Ships in 10 to 15 Business Days Material Used is 100% Preshrunk heavy weight Combed Cotton (220 GSM) Decoration methods that is preferred is Embroidery , however following methods can also be used for this shirt 1. Silk Screen Printing 2. Glow in the Dark Screen Printing 3. Puff Screen Printing 4. Crack Screen Printing 5. High density (3D) Screen Printing 6. Discharge Screen Printing 7. Pigment Screen Printing 8. Glitter Screen Printing 9. Flock Screen Printing 10. Embroidery 11. Heat Transfer Printing The weight of the product is around 0.44 lb Available colors are Red, Black, Blue, Navy Blue, White, Yellow, Green, grey, olive, turquoise, purple, cranberry Available sizes for mens and womens are xxS to 5XL, There will be an additional 1 dollar for sizes 3XL to 5XL Note: Decoration price stated above is normal embroidery on the left Chest (Unlimited Stich Count) For upto 8 Colors. You can choose a single color of shirt for every 12 shirts. Good option for quantity less than 1000pcs, shipping time: 5-7 working days. b. We produce the fabric and garments, and we strictly control the quality by ourselves. For more information, please contact with us. Wenzhou Qijinlang Clothes Co., Ltd.
Shijiazhuang MeiFan Imp. & Exp. Co., Ltd.
supplier we have manufacturers in guangzhou,guangdong,china sexuality men, women,children fabric cotton pique lycra lyocell polyester mecerized cotton etc. products polo shirt, vest(waistcoat), work clothes, technical jacket,etc. - no color fading, breathable & dry fit. - you can send us samples or your design artwork, we can make a counter sample based on org sample or your design. 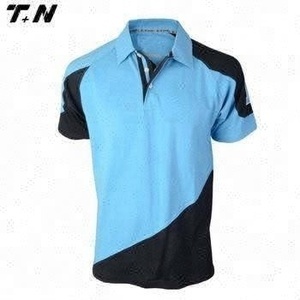 men polo t shirts promotional cheap polo t shirts specification model no. our advantages and specialties are printing technology ,we have the self-owned advanced cotton digital printing machines.high-end custommization suitable is the best. 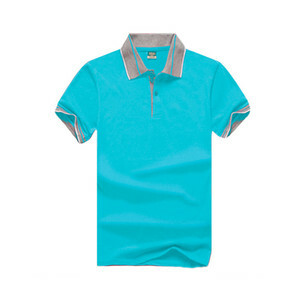 Alibaba.com offers 14,954 mens polo tshirts products. About 87% of these are men's t-shirts, 1% are soccer wear, and 1% are reflective safety clothing. 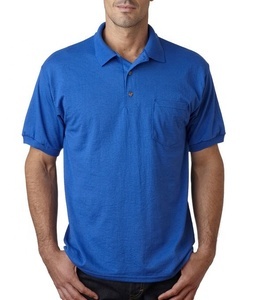 A wide variety of mens polo tshirts options are available to you, such as in-stock items, oem service. You can also choose from plain dyed, embroidered, and printed. As well as from 100% polyester, spandex / cotton, and polyester / cotton. And whether mens polo tshirts is free samples, or paid samples. There are 14,628 mens polo tshirts suppliers, mainly located in Asia. The top supplying countries are China (Mainland), Pakistan, and India, which supply 65%, 23%, and 4% of mens polo tshirts respectively. Mens polo tshirts products are most popular in North America, Western Europe, and Eastern Europe. You can ensure product safety by selecting from certified suppliers, including 4,018 with Other, 782 with ISO9001, and 219 with ISO14001 certification.